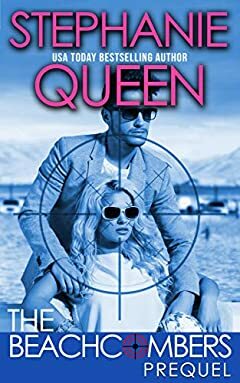 Ex-special ops legend Dane Blaise takes on a new partner for a kidnapping case, gorgeous Scotland Yard detective Shana George. Mistake? Maybe. When he walks by you, you feel the heat of his energy and then you turn your head and meet his intense eyes. If you're a woman, you shiver with anticipation. If you're an enemy of any kind, you shiver with fear. Because you know heâ€™s the kind of man who would lay down his life for the woman he loves. Heâ€™s a protector, the kind of man who would have been a swashbuckler with in the days of pirates, or a knight in shining armor in the days of castles and kings. Shana is who every woman wants to be, strong and knock-out gorgeous, a wonder woman style crusaderâ€”protector of the helpless and fighter for justice. Working in law enforcement for Scotland Yard, sheâ€™s a match for any man with her confidence and skillâ€”and long ago stopped looking for that man who would inspire her to lay everything on the line for him. Will Dane be that man? Will Shana be a match for the legendary Dane Blaise? The fireworks between them could get them killed before they have a chance to find the missing heiress and whoever is behind the kidnapping. They need to find the heiress before they let their relationship compromise everything. Or is it too late?